In Brazil, you hear the word “deserve” a lot. “You deserve it” (você merece) is a means of congratulations and “nobody deserves that” (ninguém merece) is a common lament. In Netflix’s new Brazilian series “3%” only the most “deserving” are chosen through a rigorous series of tests to live on an island apart from the squalor in which the 97 percent toil. Though Brazilians like to think you get what you deserve, that’s hasn’t usually been true when it comes to the country’s wealthiest and most powerful. Traditionally, Brazil’s one-percenters have enjoyed impunity and the ability to get away with murder — literally. So in the last two years, to witness CEOs and governors and legislators get hauled off to prison has truly been a sight to behold, thanks to the sweeping Carwash investigation and similar anti-corruption operations. To see Eduardo Cunha — the disgraced and reviled former head of the Chamber of Deputies — get taken away by police was a moment of glee and relief for many Brazilians. Normally, Brazil’s all-powerful might initially face consequences but as they say in Brazil, matters involving justice for the powerful often “end in pizza,” in which they get off scot-free. There’s still a chance that could happen with those involved in Carwash, but a lot of damage has been done already. At the same time, the Brazilian people have been wielding their power. There are many reasons for Dilma’s downfall, and the legal reasoning behind her impeachment was flimsy at best. But public support for her impeachment during an economic downturn was a key factor. Plus, her administration’s sluggish and half-assed reaction to large-scale protests in 2013 marked the beginning of her political demise, when it was clear the people were fundamentally unhappy with the country’s direction. Now, with the highly unpopular former vice president is in power, the government is learning to be more sensitive to the populace. The new president asked his name not be announced at the Olympics opening ceremony to avoid boos (he was booed anyway), and earlier this month avoided a public wake for the soccer team killed in a plane crash for fear of booing. 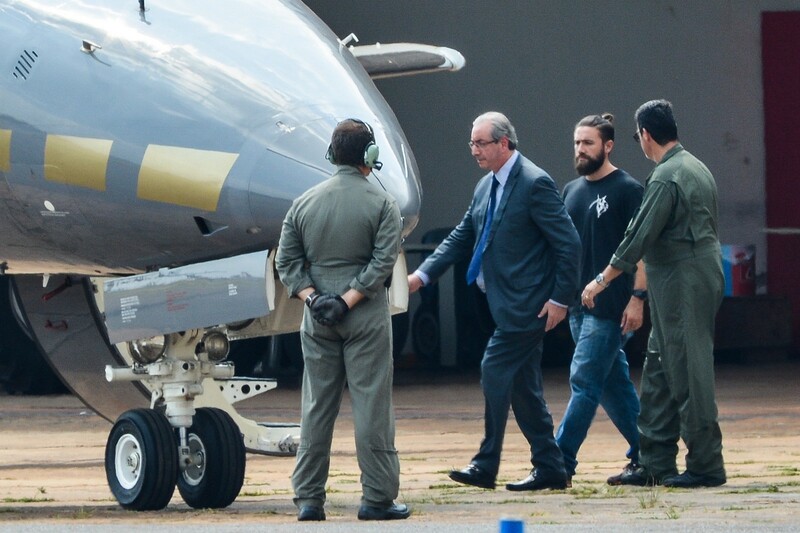 This week, after the presidential palace announced a R$1.75 million contract for snacks on the presidential plane, immediate backlash forced the government to cancel the contract the same day. That said, things aren’t great in Brazil at the moment. The man who replaced Dilma is a shadowy old-school politician nicknamed a “horror movie butler.” Political institutions are in disarray, the economy’s a mess, crime is bad, some of the richest states are bankrupt, and that Olympic legacy sure as hell isn’t panning out. But with the crows are coming home to roost for the country’s most powerful thanks to anti-corruption probes, those who were untouchable aren’t anymore, and for that reason Brazil offers some hope in the midst of a grim global reality. It’s been a terrifying year around the world, watching those rise to power or keep an iron grip on it. There’s Trump, and the burgeoning popularity of his far-right counterparts in Europe. Putin gleefully pulled the strings on pro-Trump propaganda. Assad’s still in power as millions have died in Syria’s brutal war. Venezuela’s Maduro, a modern-day Nero, dances salsa on TV while his country burns to the ground. The Philippines’ Duterte, a popularly elected president, is carrying out an extermination against his own people. So given what’s happening around the world, Brazil gives me hope. During a difficult, turbulent time, Brazil’s power structure is shifting and impunity is no longer the rule. The concept of accountability, a word that doesn’t exist in Portuguese, is slowly becoming more of a reality. Thanks to social media and technology like Whatsapp, constituents are forcing the government to pay more attention to their desires and to be more transparent. Some of the country’s corrupt still haven’t had to face the music, and things might still end in pizza for those who have. But things are changing, bit by bit.